All of the following images are all projects completed with Vinyl Dye Sprays. You can click on the images to see the main product used. See what other's have achieved with our sprays. All of these projects are from REAL CUSTOMERS. You may also want to read our lengthy customer testimonials. 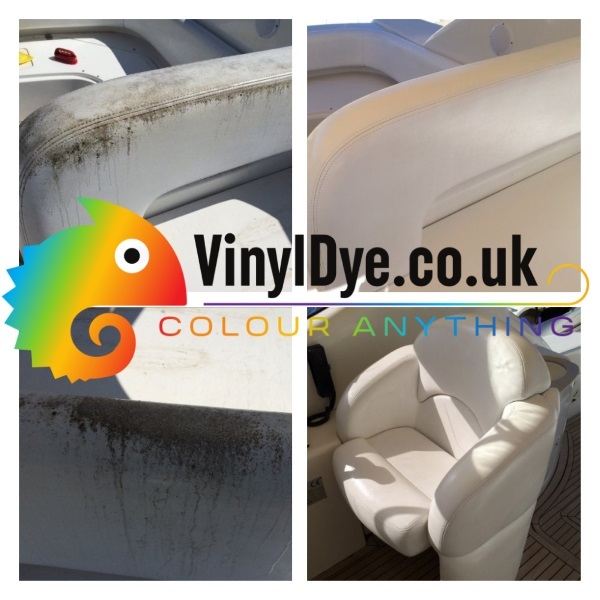 A professional boat restorer uses our White Vinyl Dye Spray and High Gloss Topper to achieve this fantastic boat restoration. 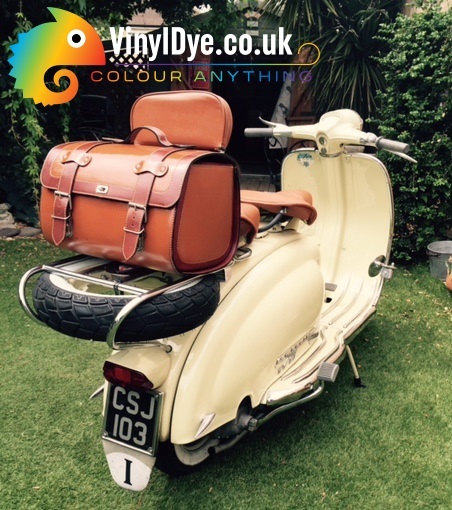 Here we have, thanks to Vinyl Dye Sprays a perfectly matching satchel and back rest on a truly stunning bike after using our Tan Spray. Here we have a campper van customisation using Vanilla TRG Vinyl Dye, Matt Topper and the Universal Cleaner for preparation. The seating had been replaced once, and faded again. 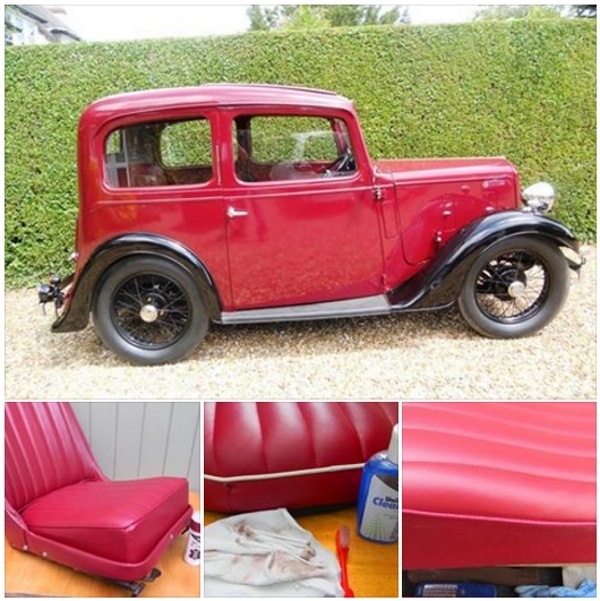 The owners performed a magical tranformation and ended up with a true 'Ruby' finish, using our Scarlet Red Brillo Vinyl Dye Spray. Attention was paid to cleaning with our TRG Universal Cleaner, and interestingly for some of the very small areas, the Vinyl Dye was brushed on after decanting in a glass jar with cotton ear buds! Helen had the perfect pair of shoes, she should dance all night in these, but alas, they were the wrong colour for the latest outfit. A Raspberry Vinyl Dye Spray let her change them to a gorgeous pale pink. 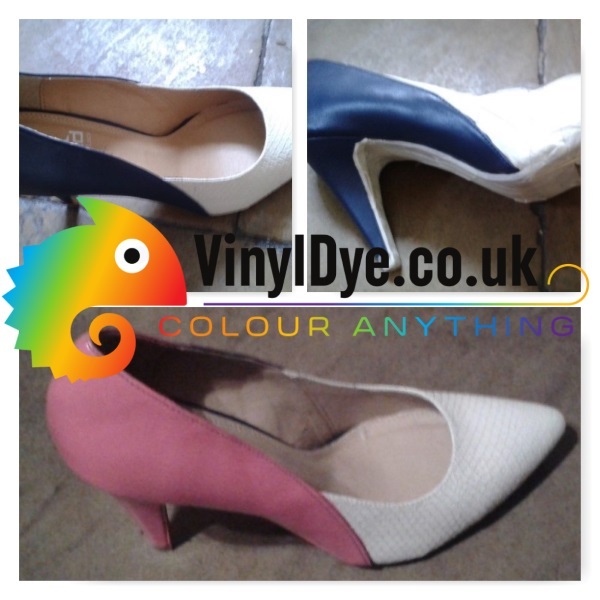 In her own words; "We had a great evening and the shoes received quite a few amazed comments that they'd started life 'feeling blue' and were now 'in the pink'". 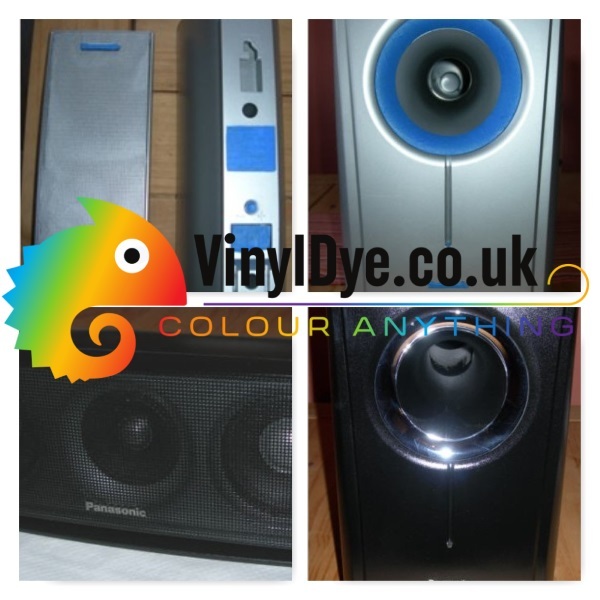 Read the full story of how Vinyl Dye renews surround sound system here. Silver AV equipment is so last decade, but why skpend £100's when you have a perfectly good system? 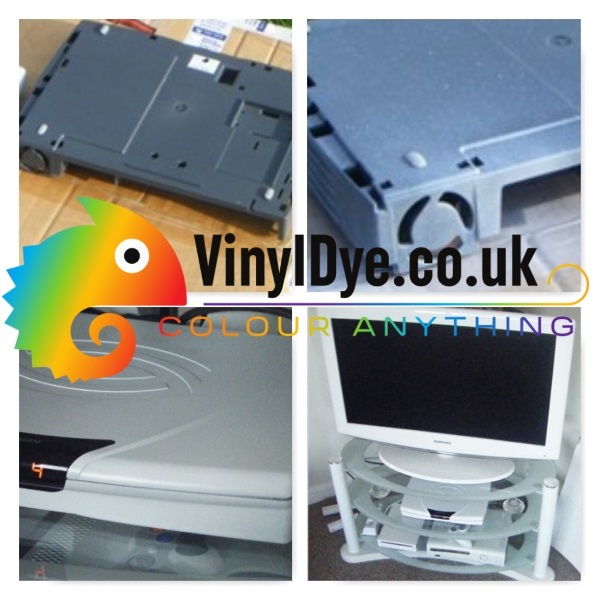 Using Black Vinyl Dye Sprays for Plastic this AV system was transformed so well, it looks like it was always black. Read the full story of how to renew the look of a vinyl car roof here. 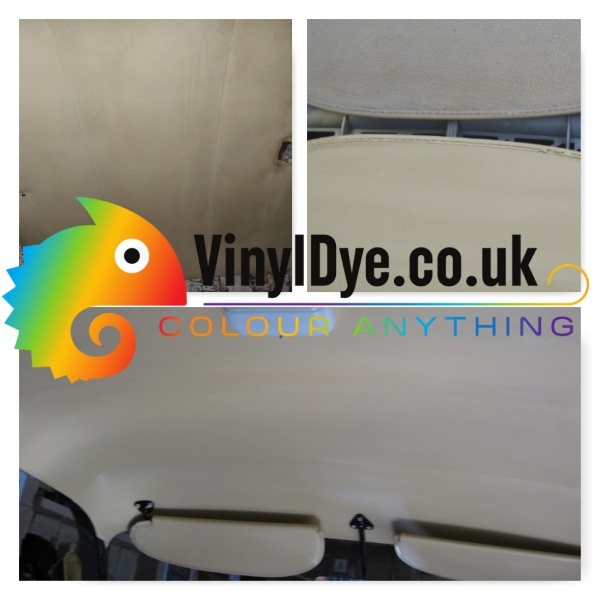 Using our Vanilla Vinyl Dye Spray to renew the look of this vinyl roof with just two 150ml cans! Read the full story of how I changed my freeview box from black to white here. Using a single 150ml can of White Vinyl Dye Spray (that took a great deal of effort to import into the country), I completed the look of my own AV setup, and www.Vinyldye.co.uk was born. *this is my own story, this is not from a customer.